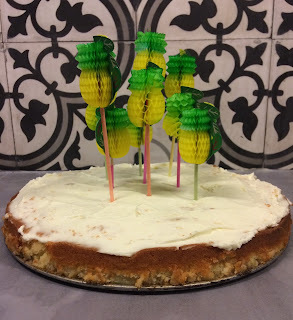 This week we celebrated my daughter's birthday and after making a couple of things in the last weeks, the party slowly got some sort of theme, namely Fruit. It started with the Confetti Cards, that had a sort of fruity colors. 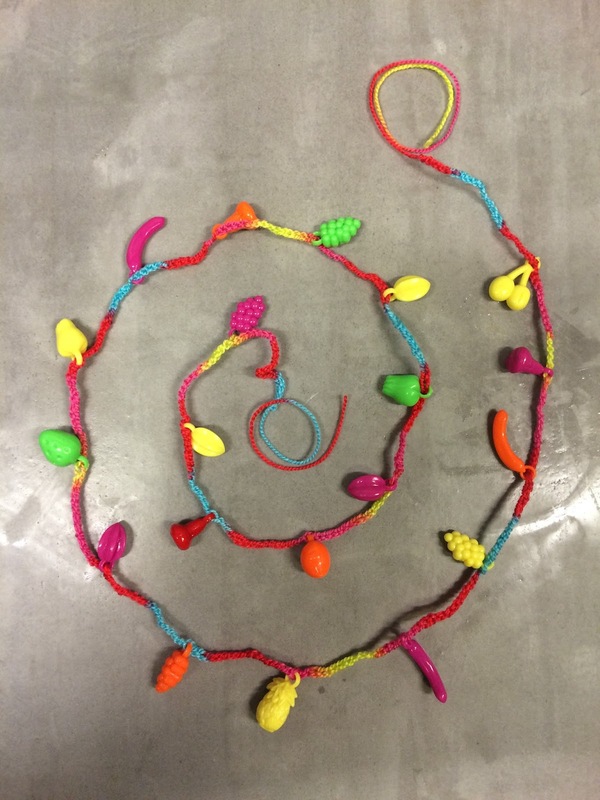 Then I made the garland in colors of tropical fruit and I think it was then that I thought fruit could be the theme. I had found plastic fruit pendants a while ago, that I absolutely didn't know what to do with, but just bought because I had to have them. Now I could use them to make a chain for decoration. 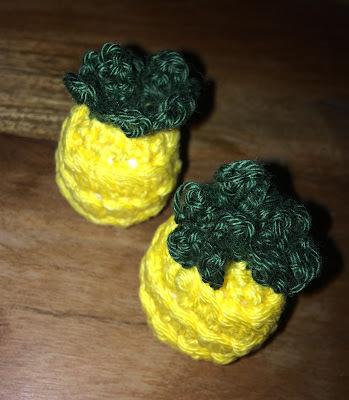 On Pinterest I saw this pattern for crocheted little pineapples that I couldn't resist. 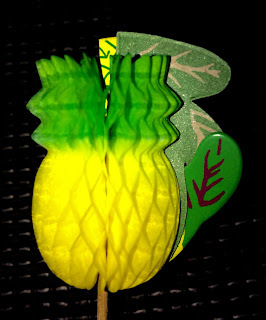 And I even found the cutest little pineapple cocktail picks, that I used to decorate a Texas Tornado Cake (I made a version with pineapple). This week my Black Mochila was featured by Oombawka Design and by Creative Crochet Workshop! Thank you, Rhondda and Joanita! I like the crocheted pineapples! Thanks for sharing on the Pleasures of the NW’s DIY party-and don’t forget to leave a comment at the party – Next week’s features that also leave a comment get pinned and tweeted! Pineapples are right on trend these days! What a cute crochet project. Thanks for sharing it at the #HomeMattersParty this week. What fun decorations - and I love the crocheted pineapples! They are so cute! Thank you for sharing this great inspiration with us at the Hearth and Soul Hop, Liz. This will be a colorful party... and a cheerful one!